Virginia Beach is known for its serene environment and pleasant weather during the summer. For most residents, the water is the favorite place to be. While the beach is preferred by many swimmers, surfers, and waders, there are a large number of people that enjoy relaxing and taking refreshing dips in their backyard pool. The Virginia Beach communities are careful and aware of the dangers of an open pool. As a result, they have embraced safety fence installations as part of their regulation for guests, the elderly, and children. Insurance companies, as well as state officials, are looking into this option as a way of reducing accidents. Virginia pools are also installed with all the proper safety gear to ensure there are enough amenities to service the local community. Most individuals prefer black or brown fences and the poles are normally 6063 marine grade aluminum quality. The mesh and stitching, as well as the border, have integrated UV inhibitors to ensure that all parts remain intact. The mesh is normally interlocked and interwoven to provide optimal strength. Most latches are consistent with a 316 stainless steel to ensure they are not compromised in any way. You should consider a four-foot fence that is self-closing, self-latching and lockable. A good design will be reliable and will close securely and consistently. The best gates come in a ‘U-shaped’ monolithic stable structure that is typically independent of the fence. It is important that the gate is tested so that it passes the American Society for Testing and Materials requirements. It should also be certified by Laboratoire National de Metrologie et D’essais. Pool fences are key features in the safety of any pool. It is important to consider pool fences with the best features for maximum protection. You want your pool to be a fun place, and it can be, so long as you take the necessary measure to protect your loved ones. 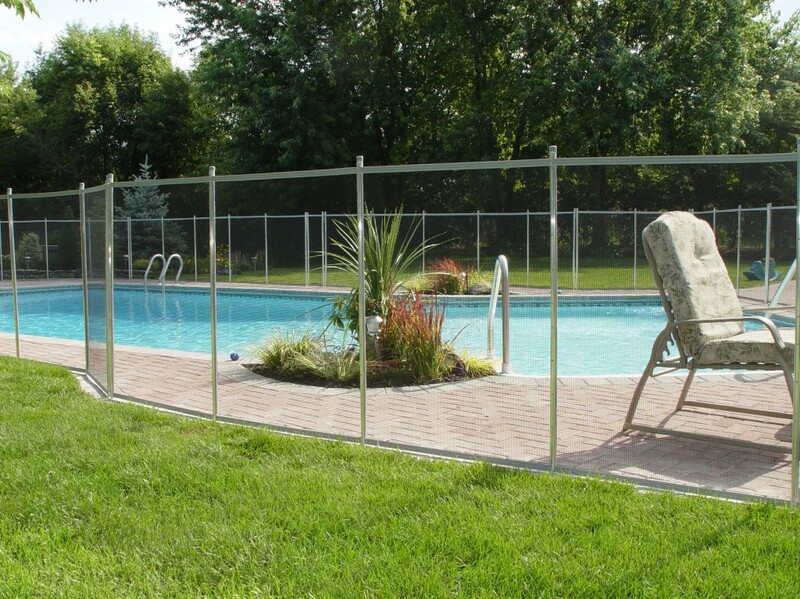 Pool fences offer safety and peace of mind and can also be designed to fit the aesthetics of your yard.